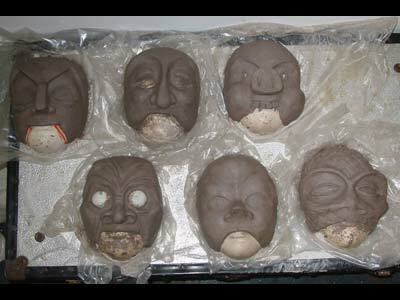 Masks can take many forms from very simple card on stick or paper bag to intricate ones formed over a 3 dimensional design. 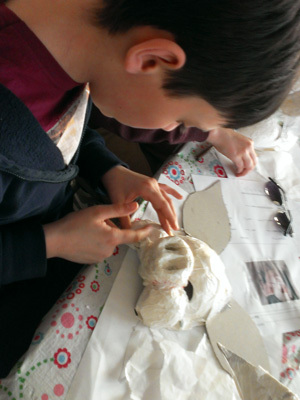 I run workshops from drop-ins to a series of several sessions. 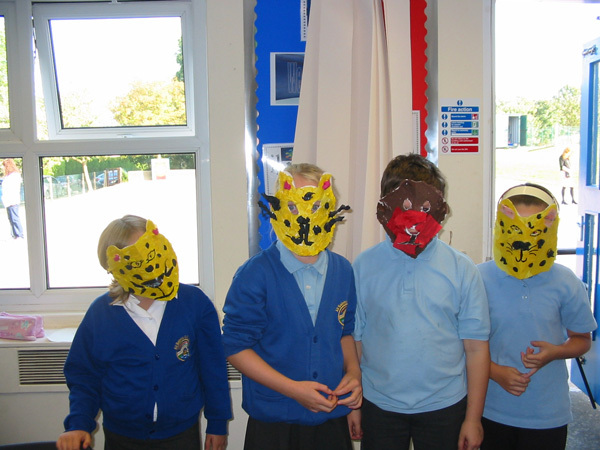 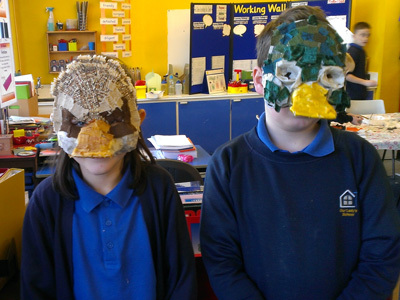 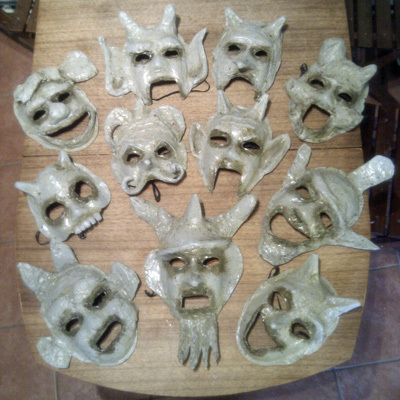 These can be alongside a drama project to be worn in the show like the animal masks for Noyes Fludde with Bridgewater Hall Learning dept. 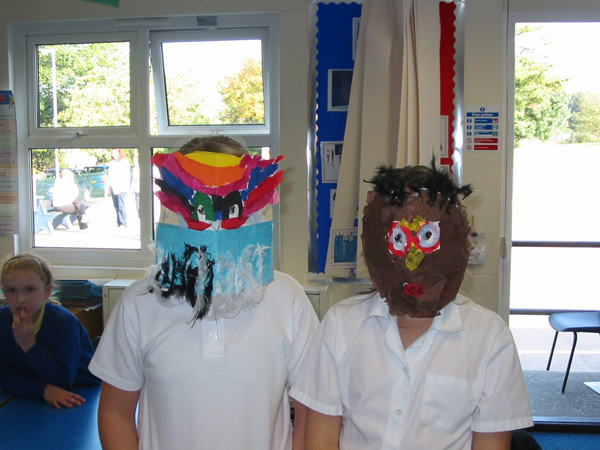 They can be to explore particular topics like ancient cultures or emotional literacy or to celebrate an occasion like Easter or Halloween. 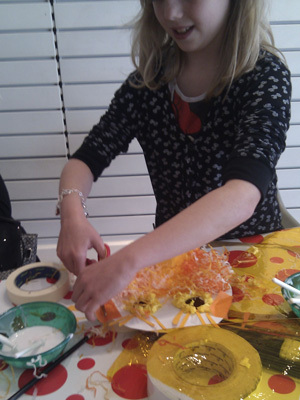 I work with all ages from pre-school to adults both in the community and within educational establishments. 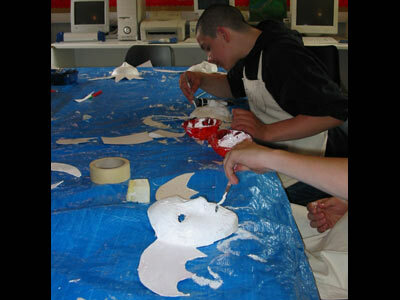 Each workshop is designed for the specific needs of the project. 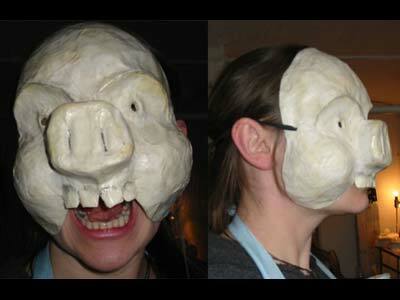 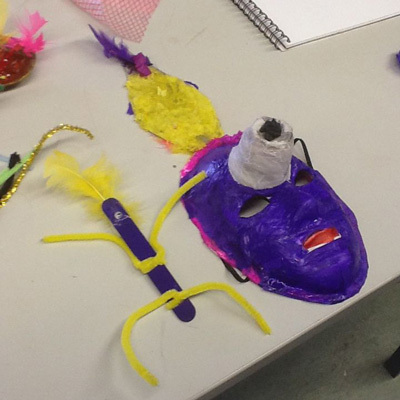 Please get in touch if you would like me to run mask making workshops in your venue or with your group. 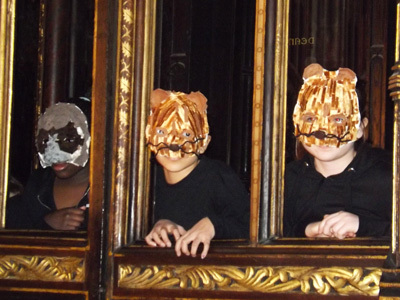 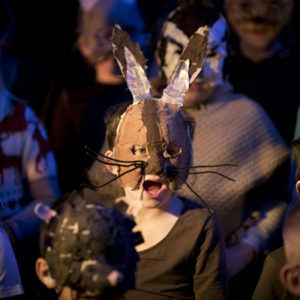 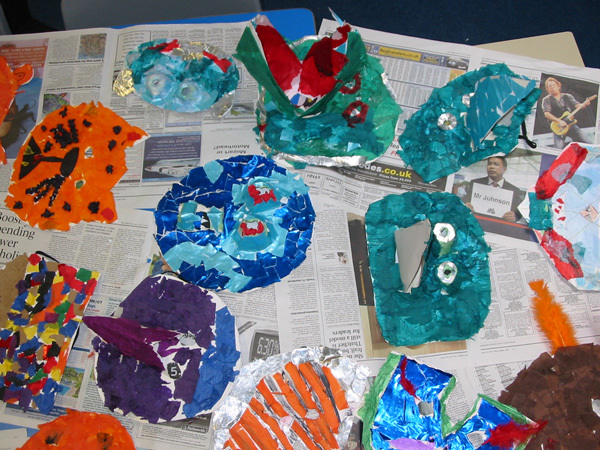 Animal masks for Noyes Fludde at Manchester Cathedral, schools workshops & performance, Bridgewater Hall Laerning Dept & Chethams School of Music. 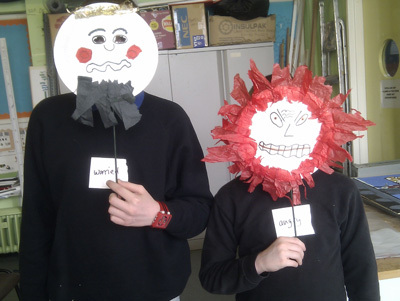 Emotional Literacy programme with Aqueous Humour in Manchester & Bolton KS3 PRU. 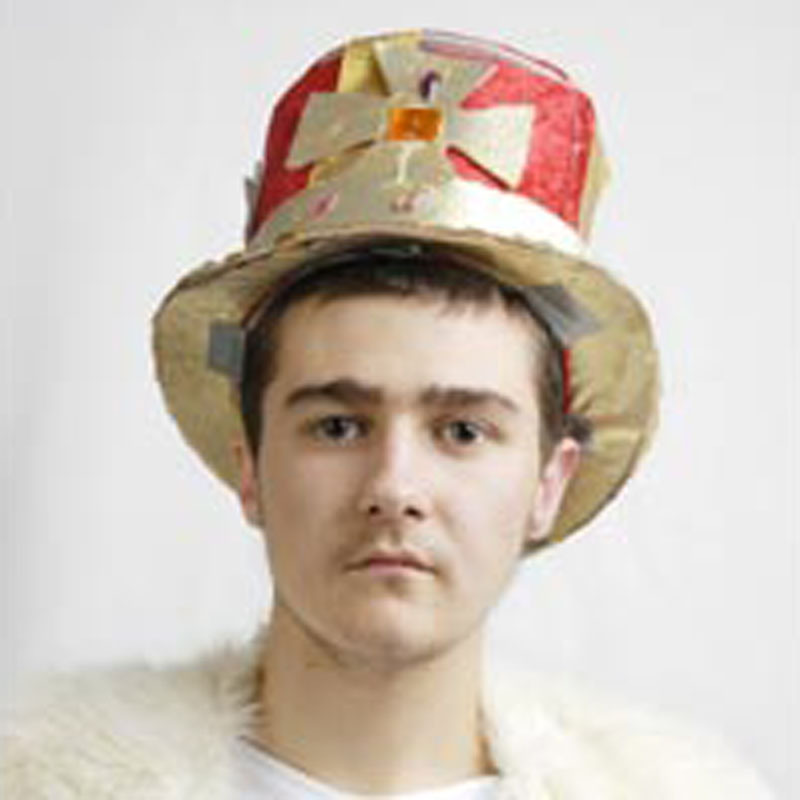 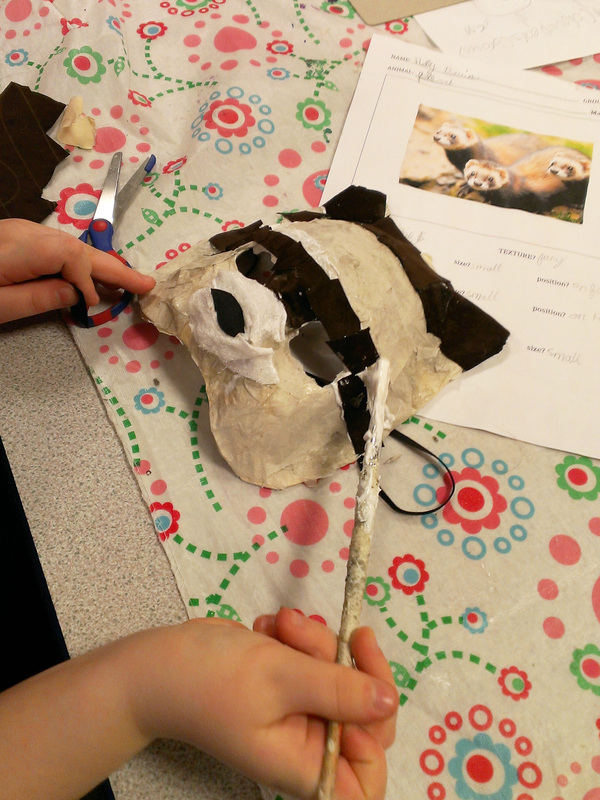 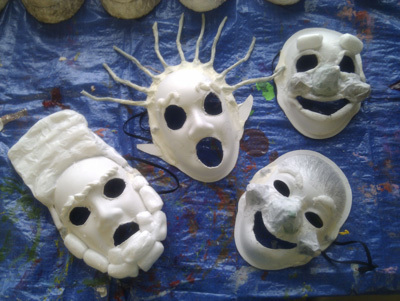 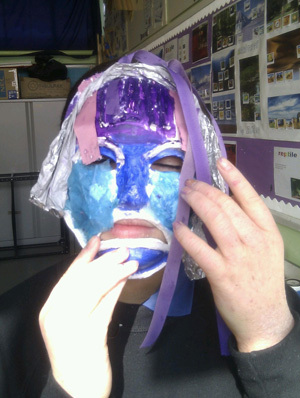 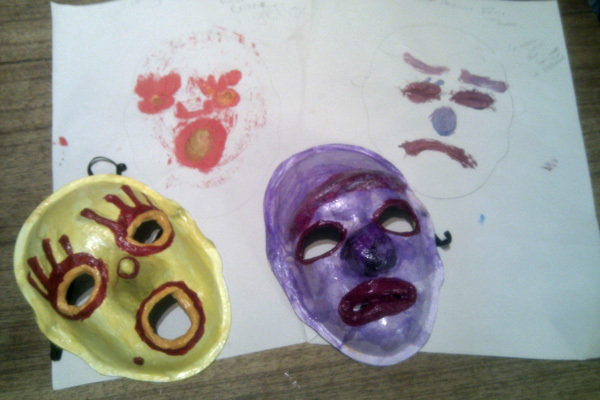 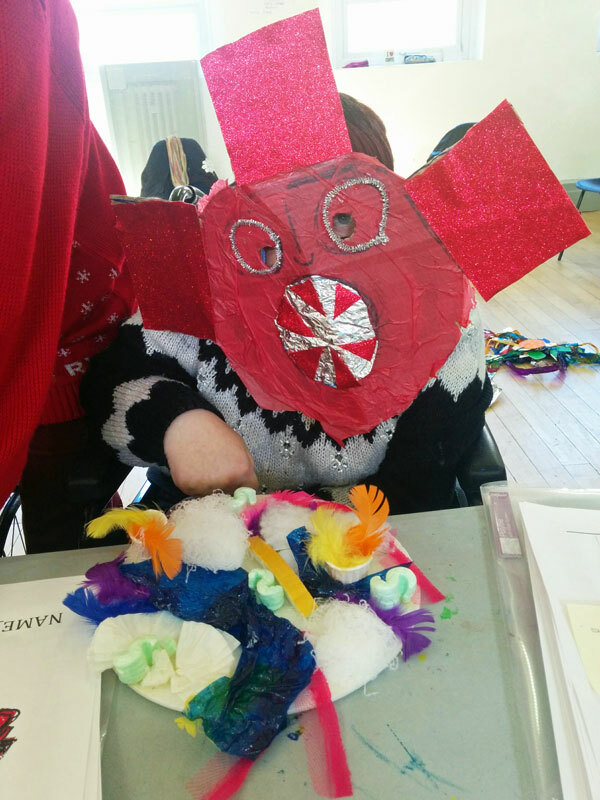 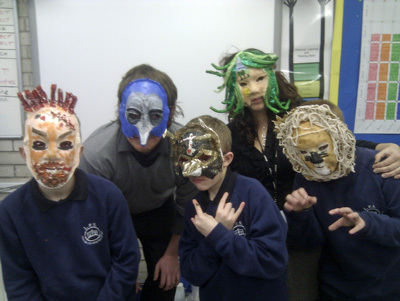 Emotion masks & Gargoyles, KS3 workshops, Undercliffe Tales project, Freedom Studios. 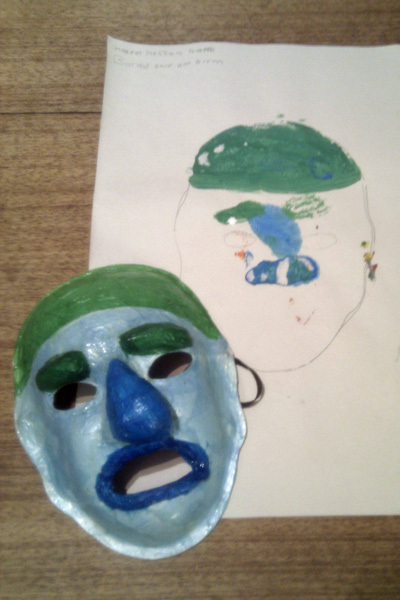 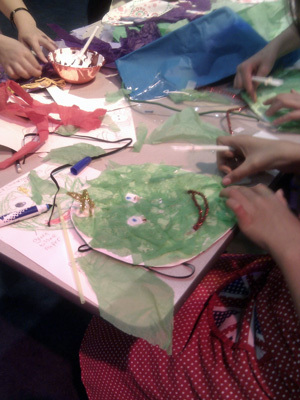 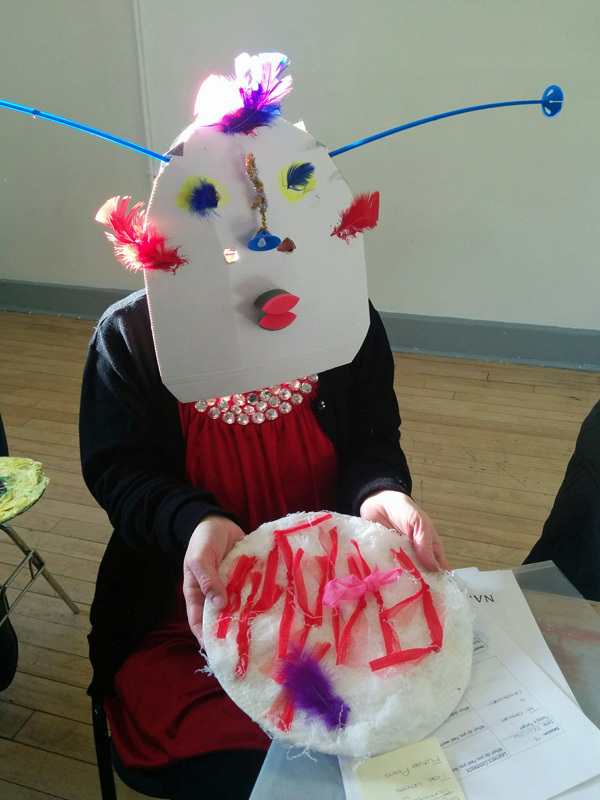 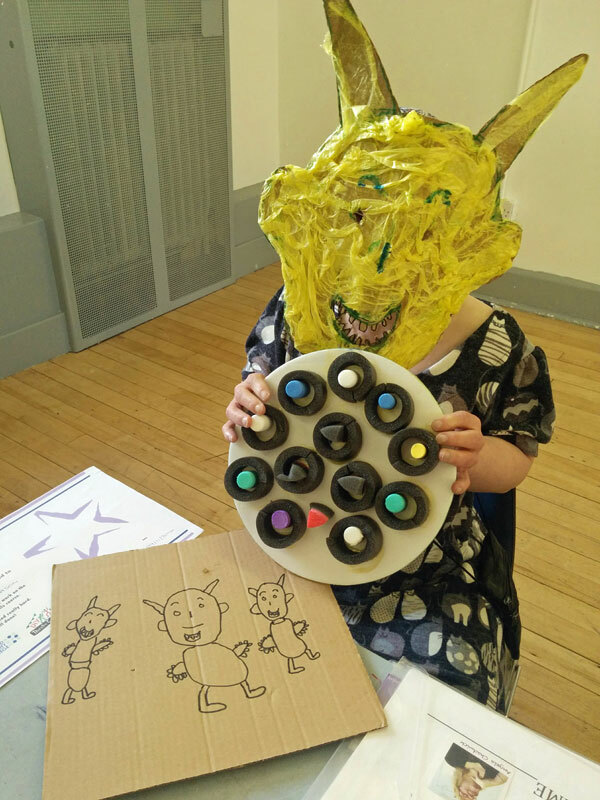 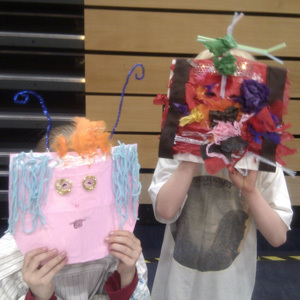 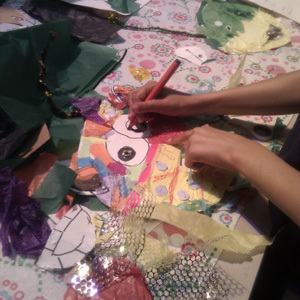 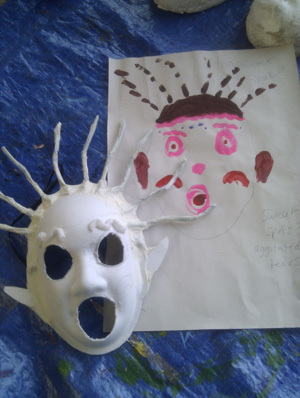 Alien masks, Chorlton Arts Festival Schools programme. 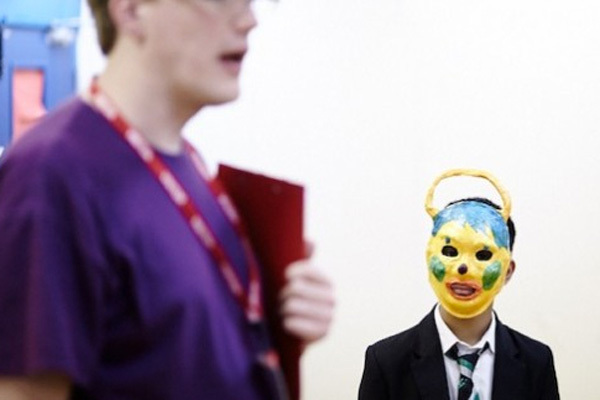 Alien masks & planets, DIY Theatre company as part of show development programme. 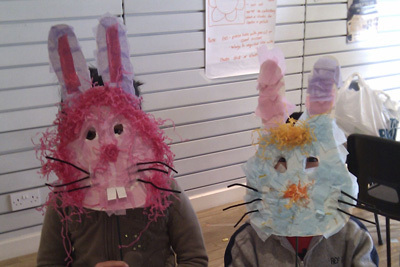 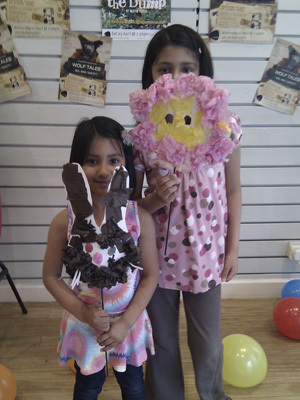 Springtime Masks, drop-in sessions for Bury Council in shopping centre during Easter holidays. 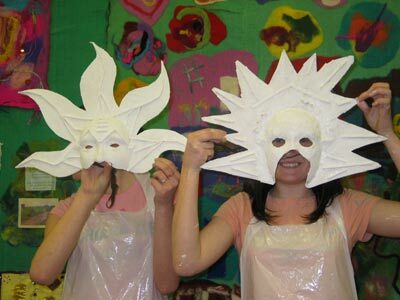 Americas Day, primary school workshops. 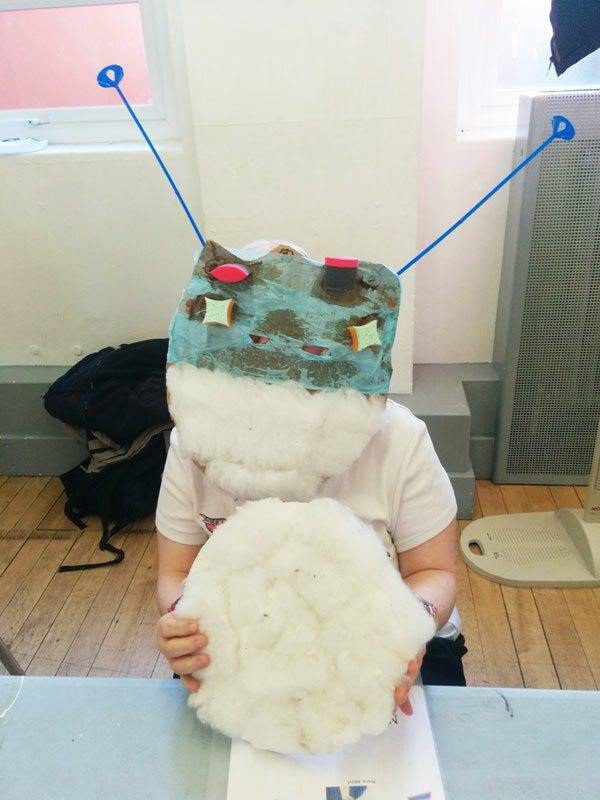 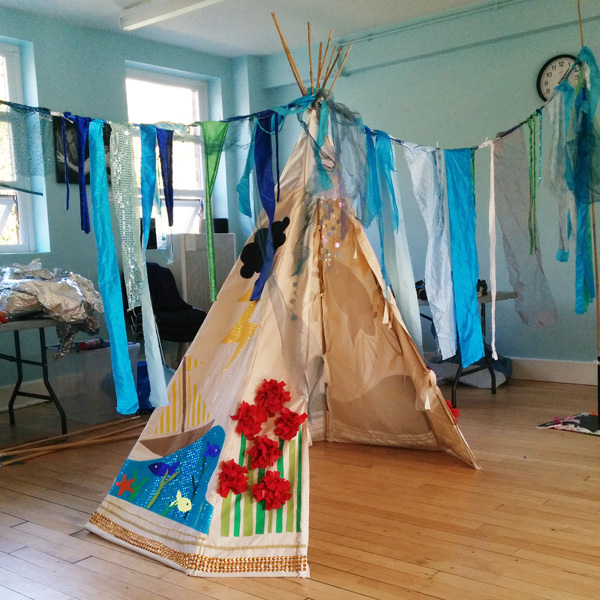 These workshops can range from drop-ins as part of a wider event or celebration like the Jubilee or run over a series of sessions starting with design.